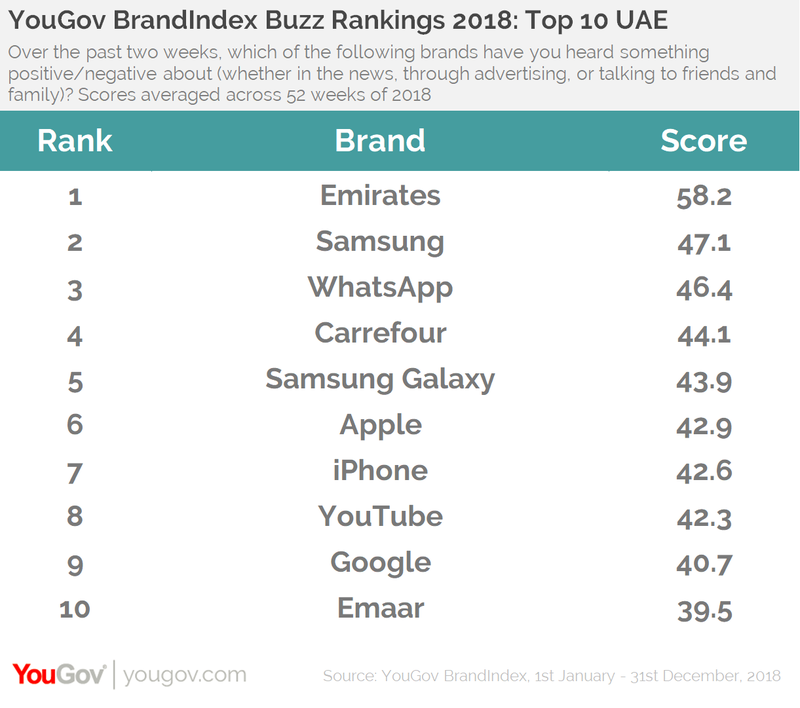 on January 22, 2019, 9:38 a.m.
YouGov annual Buzz Rankings 2018 reveal that Emirates is the brand with the most positive buzz in the UAE, followed by Samsung in second place, up from sixth last year. Meanwhile, WhatsApp dropped a spot from second to third, and Carrefour moved up three places from last year to rank fourth. YouGov BrandIndex measures the public’s perception of brands on a daily basis across a range of metrics. 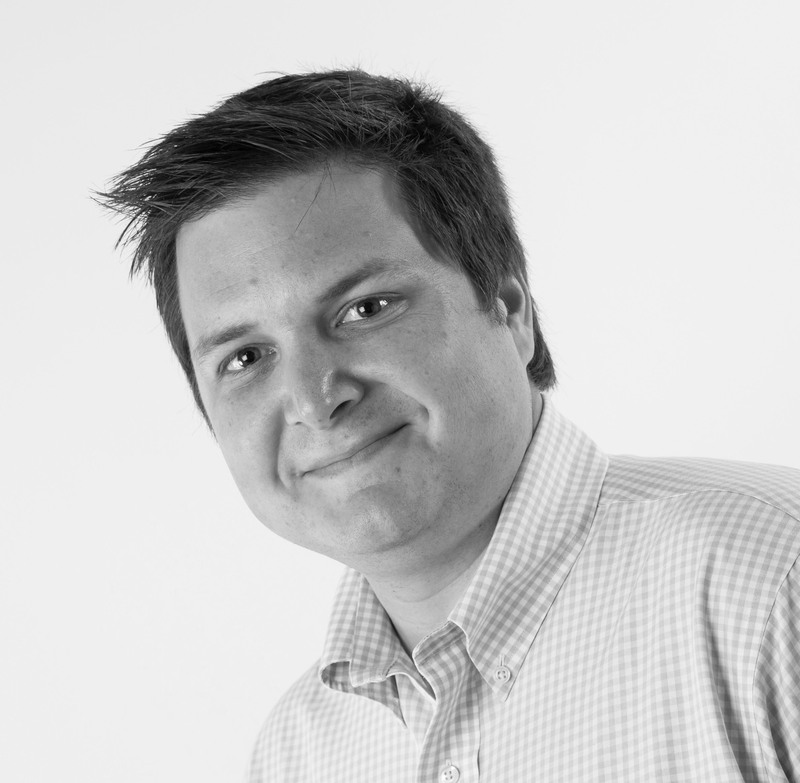 The annual Buzz rankings are compiled using Buzz scores from the entire year’s worth of data. Buzz scores measure whether people have heard anything good or bad about a brand during the previous two weeks. Arguably the big story of this year’s top ten is the increasing power of the Samsung brand. While the electronic giant Samsung climbed up to the second position from sixth last year, Samsung Galaxy created a lot of noise with the launch of its new phone, Samsung Galaxy Note 9, and also saw an elevation in its Buzz score, improving from tenth in the 2017 rankings to fifth in 2018. On the other hand, Samsung’s key competitors in the mobile space, Apple and its iPhone handset, remain in the top ten rankings, but drop from ranks four and three last year, to six and seven, respectively. Google also dropped a spot, down from eighth to ninth position this year, while YouTube moved up one place to eight in 2018. Emaar has re-entered the list at tenth, after missing the top 10 in 2017, while Facebook dropped out of the top ten. YouGov BrandIndex has also revealed which brands noted the most improvement to consumer perception in 2018. 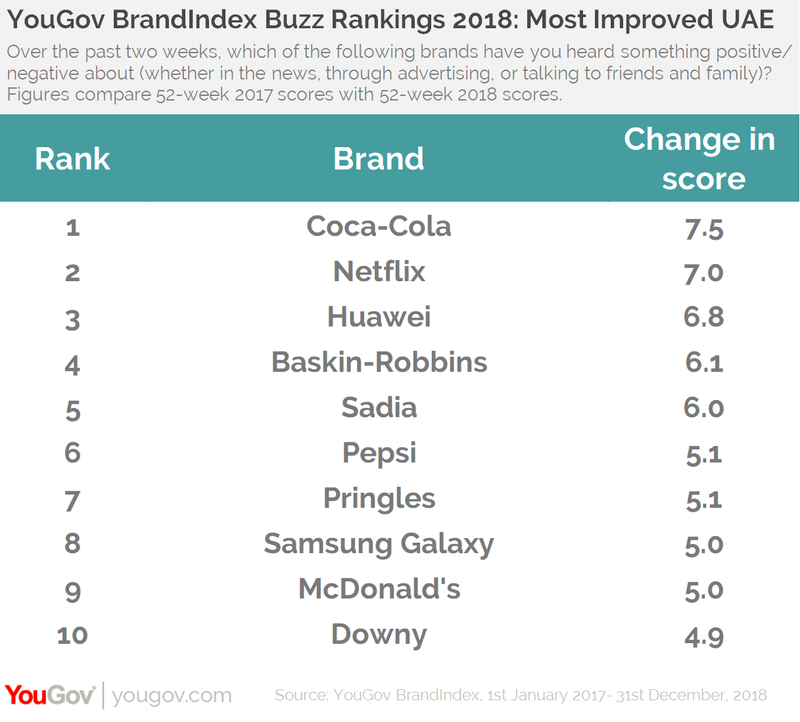 Coca-Cola is the “most improved” brand of the past year, with a rise of +7.5 points to its Buzz score, going from +6.5 in 2017 to +14.0 in 2018. New and original content by Netflix seems to have impacted its customers, as it has generated a fair amount of positive Buzz among people, thus becoming the second most improved brand of 2018. Noticeably, beverages and mobile service and handset brands have registered noteworthy improvement in their Buzz scores this year. Huawei is the third most improved brand in 2018, with a change in score of +6.8 and Samsung Galaxy has shown great improvement, changing its score from +38.9 to +43.9 this year. Pepsi has also seen its score rise by +5.1 points. The 551 brands in YouGov BrandIndex were ranked using the Buzz score which asks respondents, “If you've heard anything about the brand in the last two weeks, through advertising, news or word of mouth, was it positive or negative?” Scores are net scores, calculated by subtracting the percentage of negative responses from the percentage of positive responses for each brand.